The hype is as real as real can get and in a few days, we’re about to witness the final season of Game of Thrones, arguably one of the biggest and most anticipated finales in recent memory. A few weeks back, Adidas collaborated with Game of Thrones to release a themed Ultraboost line that had us drooling and this time around, HBO Asia themselves have jumped in with 4 custom pairs that we can only hope will hit retail. Check them out below! House Lannister, Stark, Targaryen, and the White Walkers take center stage this time around with the Continental 80, Falcons, Stan Smith, and Micro R1 being the choice silhouettes. These are some of the less famous silhouettes compared to Yeezy’s and Ultraboosts but that’s not to say that they aren’t equally as hyped, especially with these slick looking customs that spares no detail, even with chains, beads, and metalwork adorning the pairs. Looking to snag these hot pairs? Unfortunately, they’re not likely too hit retail as these were custom pairs made by the one and only Mark “SBTG” Ong, one of the more famous sneaker customizers in the region. You’ll remember SBTG as he collaborated with local sneaker retailer Titan to release a Deer Valley collection way back 2011. If you want to check out more of his work, peep his IG below. 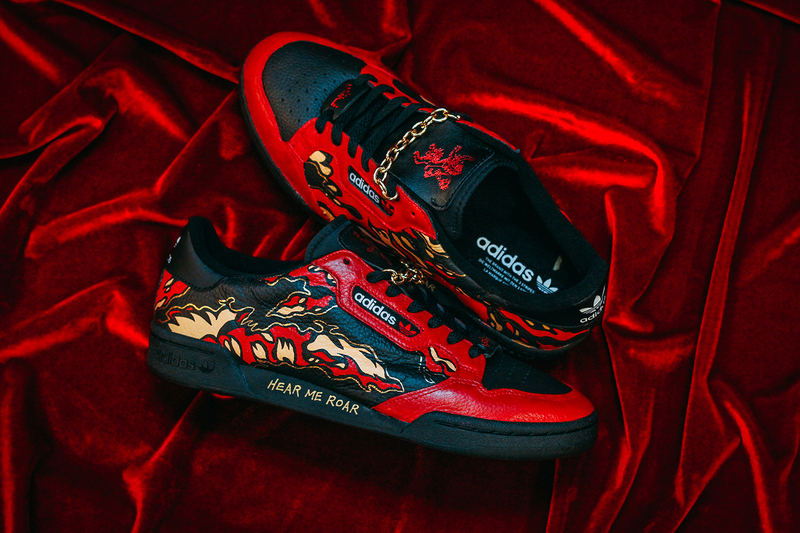 The final season of Game of Thrones airs on April 14 (April 15 Monday, locally) and similar to the shoes, we’re expecting a lot of FIRE for the last season, bring it on! Previous articleSpotify just released seven Game of Thrones house-themed playlists!